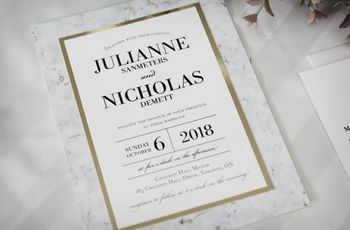 The Most Common Wedding Invitation Typos to Watch Out For | Wedding Ideas ARE YOU A VENDOR? 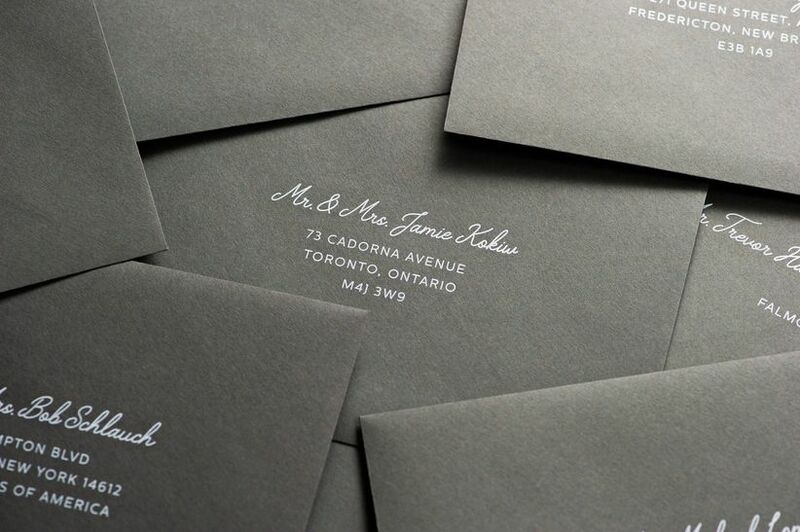 Worried about sending out wedding invitations with grammatical errors and spelling mistakes? Here’s what to check for. 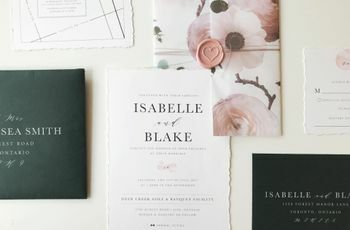 Nobody likes to make mistakes and nobody likes to read anything with mistakes, so make sure you read through your wedding invitation text thoroughly before sending it to your stationer. While little things may seem unimportant, they may have a major effect on how your big day plays out. To save you from any typo trip-ups, we’ve laid out the most common errors for you. Here are the most common wedding invitation typos to watch out for. Remember that scene in Grey’s Anatomy where all of Alex and Jo’s wedding guests end up at the wrong ceremony? Well, that was because of an address mix-up. To avoid a similar snafu, give your venue’s spelling, street number and name and postal code a once-over. You’ll also want to review the GPS link on your wedding website to make sure it points people in the right direction. 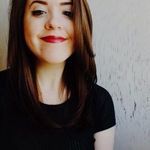 While typing out 11:00 a.m. (or whatever time your event begins) may seem like the easiest thing in the world, you may have accidentally hit the two or three key - especially if you’ve got a bad case of wedding brain. Leaving this unchecked may mean that your guests arrive more than fashionably late, or waaaay too early. You could probably spell you and your future spouse’s names backward and forward in your sleep, but there’s a good chance you couldn’t do the same for the rest of your wedding guests. 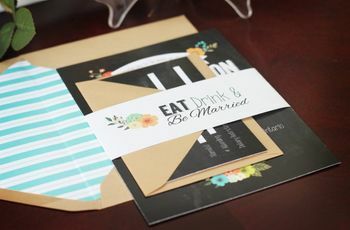 You’ll want to be 100% sure before you start addressing envelopes so that you don’t spell any names wrong or waste any of that precious (and expensive) wedding stationery. 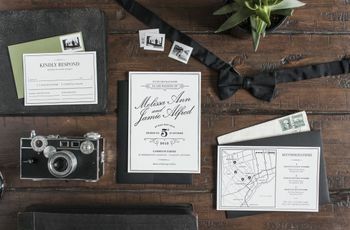 OK, autocorrect may be your friend when you’re typing out a quick text, but it may be your biggest enemy when it comes to your wedding invitations. You don’t want it to accidentally turn an important blurb into something crude or unintelligible, so pay attention. While the end result may be hilarious to guests, it’s not the greatest kickoff to your wedding plans. Wedding invitations aren’t super wordy documents and you don’t need to be a budding Shakespeare to pen yours. However, since they’re so simple to write, you may rush through them. Before sending them to print, check for any small grammatical errors that you may have made in haste - you definitely don’t want them to make it onto the final product.